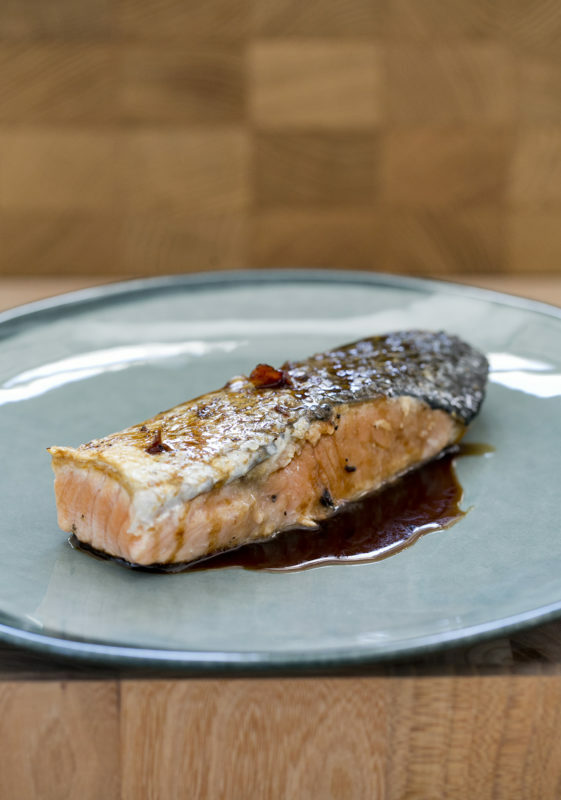 Making crispy-skinned salmon at home may seem like an elusive dream that you’ll only ever experience at the world’s finest restaurants. 1. For the glaze: In a small bowl, stir together balsamic vinegar, water, lemon juice, and brown sugar. 2. Pat dry the salmon very well and season with salt and pepper. Heat oil in a non-stick skillet over a moderately high heat until hot, but not smoking. 3.Add salmon, skin side up, and sear until well browned, about 4 minutes. 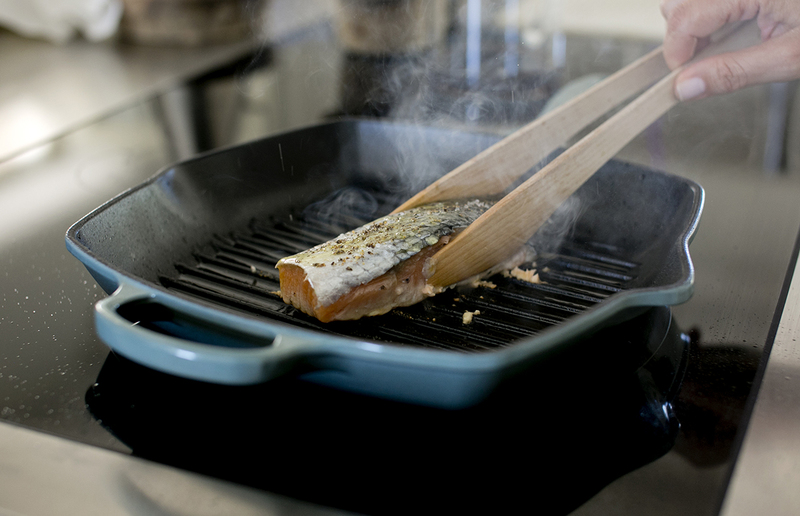 Press the fillet against the skillet with your fish spatula, and turn the heat down to medium-low. Turn the fish over and sear until just cooked through, an additional 3 to 4 minutes. 4. 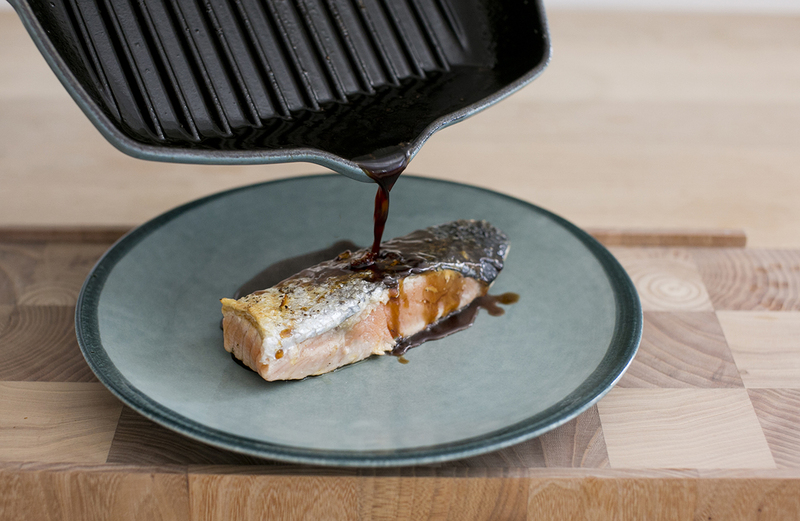 Carefully transfer the salmon to serving plates. Add the glaze to the skillet. Simmer stirring for about 2 minutes, until thickened and reduced to about a ⅓ cup (liquid will bubble vigorously and steam). Pour the glaze over salmon and serve.